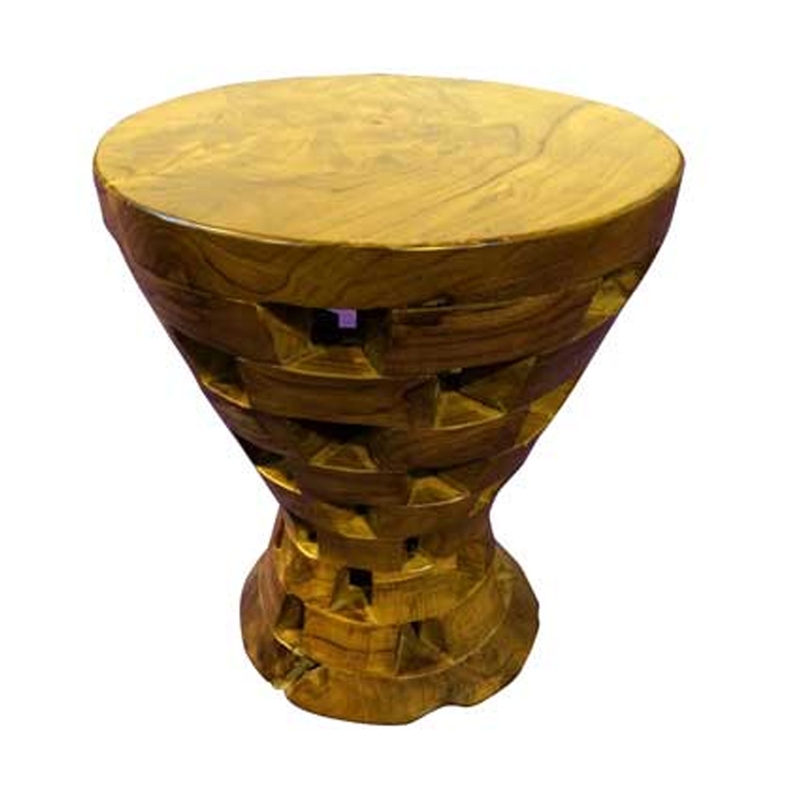 We are very proud to introduce this fantastic Teak Root Stool Round Fluted Cage. This stool has a beautiful design that features a base with a fluted cage design. The base then extends inwards, before branching outwards again to create a smooth rounded surface to sit upon. This product is created from a teak root material.